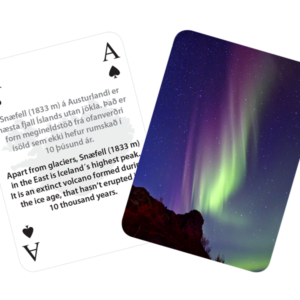 Playing cards with 52 tidbits about Iceland. 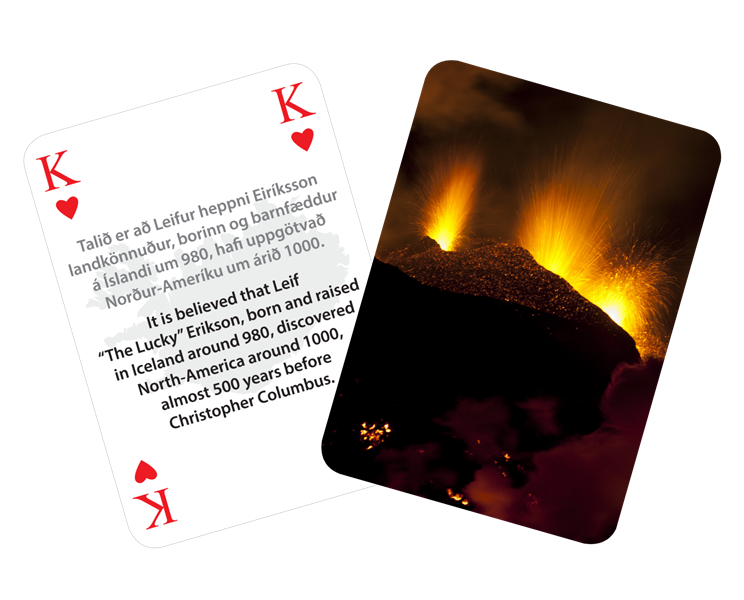 Front cover image of the Fimmvörðuháls eruption taken by the renown photographer Ragnar Axelsson (RAX). 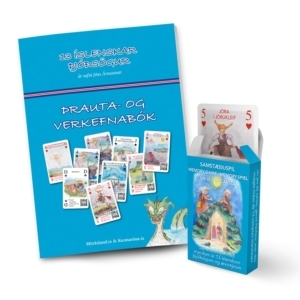 Spilastokkur með 52 fróðleiksmolum um Ísland. 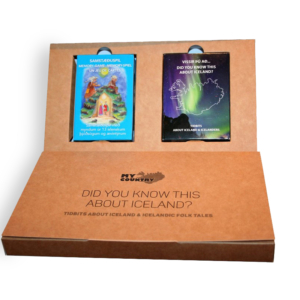 Mynd að framanverðu er af eldgosinu við Fimmvörðuháls, tekin af hinum víðkunna ljósmyndara, Ragnari Axelssyni (RAX).